Ogden bought out San Jose's Pacific Coast League affiliation prior to 1979's opening day and signed a AAA agreement with Oakland, which dropped Vancouver, BC, after 1978. San Jose then added a new single-A team, which joined the Seattle system, an arrangement that lasted through 1980. Today's Ogden A's also survived only 2 years before folding, but had the distinction of fielding Rickey Henderson for 71 games prior to his big-league debut. What about that warmup jacket, huh? 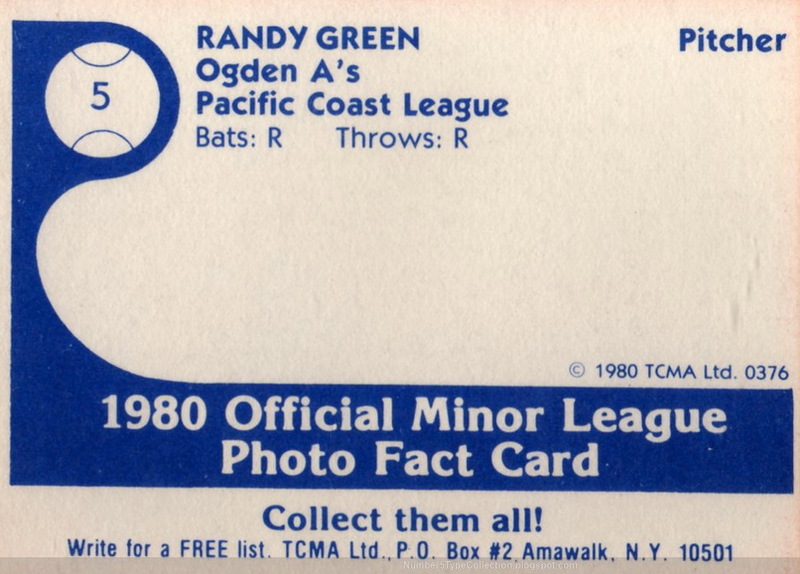 Ogden really grabbed their red-on-white look and ran with it, something that echoes in the 1980 TCMA card borders. I'm not crazy about the color combo; this is one time when some Oakland yellow-and-gold would've livened things up for the better. Wow, that's a really empty card back. 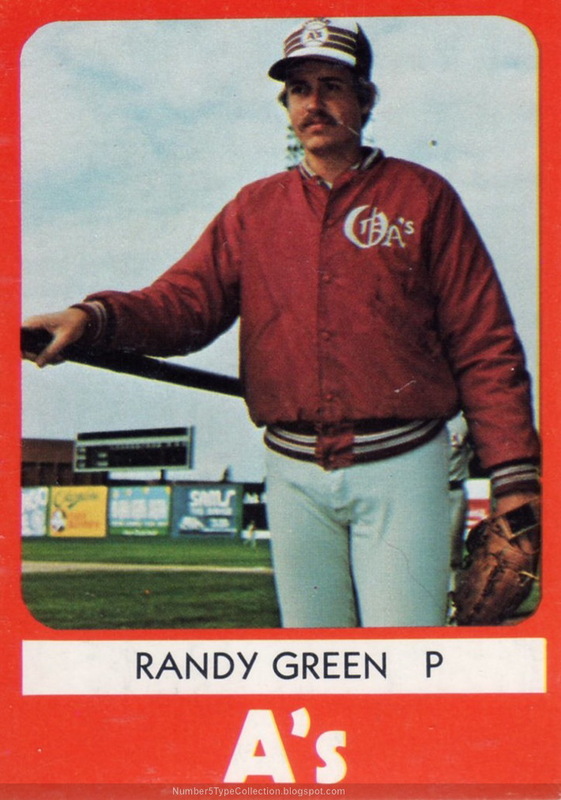 For the official record, Randy went 3-7 for AA Waterbury and 5-7 for AAA Ogden in 1979, both teams in the Oakland farm system (career stats at Baseball-Reference.com). He stuck around the minors for 5 years, but never got a call to the bigs. Value: Randy cost $2 on Beckett Marketplace, about right for 1980s minor leaguers. Fakes / reprints: Haven't seen anyone fake one of these red-bordered TCMA cards.